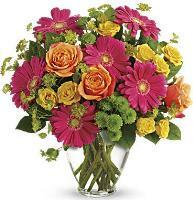 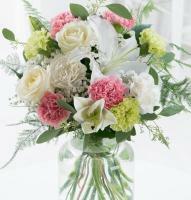 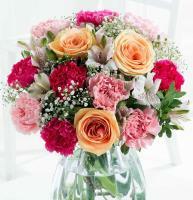 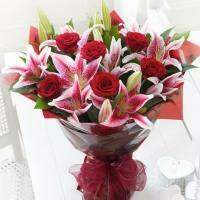 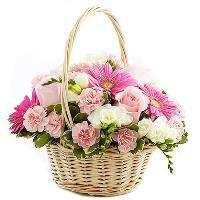 Mondial Flowers are leaders in delivering flowers throughout the world including United Kingdom. 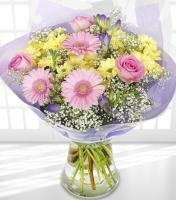 Our United Kingdom florists can hand deliver flowers to the UK and can even offer International Flower Delivery. 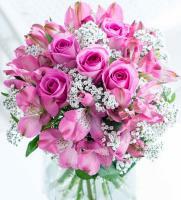 With over 60 years experience in providing same day flower delivery and next day flowers, our dedicated online florist delivery service in UK is committed to providing our customers with beautifully designed, fresh gifts with care and efficiency. 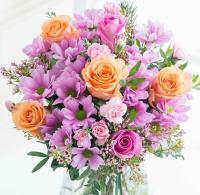 UK's National Flower is the Rose. 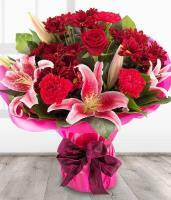 Mondial Flowers employ a highly trained UK Sales and Customer care team who are committed to ensuring the best possible service is given to consumers ordering flowers and gifts online for delivery in the United Kingdom. 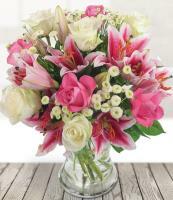 United Kingdom flowers available all year are: Alstromelia, Carnations, Carnations- Spray, Chrysanthemums, Freesias, Iris, Lilies and Roses. 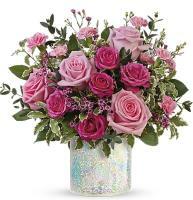 All our fresh flowers are hand tied and styled by expert UK florists and delivered personally by our extensive network of over 1,500 professional UK florist outlets. 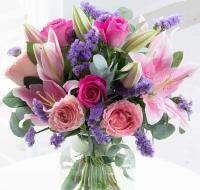 With a passion for flowers and gifts, our online flower shop’s wide range of flower bouquets, flower baskets, floral arrangements, luxury flowers and exotic plants guarantee you will find the perfect hand delivered gift, sent direct to your UK recipient with same day flower delivery (if ordered before 1pm) or your subsequent date of choice. 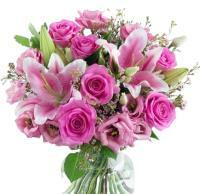 When sending flowers to UK please make sure that you supply a second choice of flowers where applicable. 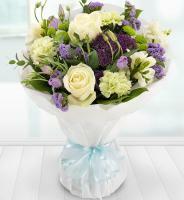 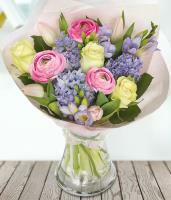 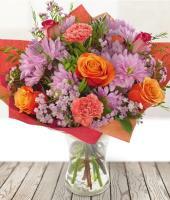 Also provide recipient's local UK telephone number, so that the flower order can be made with success. 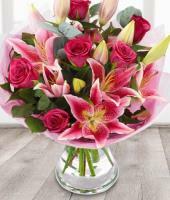 Sending flowers and gifts online to the UK with our reliable website is now even easier and with our very latest range of flowers now available online you can be assured that you are dealing with an experienced, professional and very personal service. 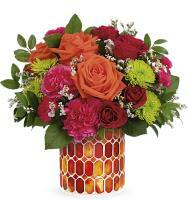 So whatever the occasion, from Valentine Roses, Mother's Day, Christmas Gifts, Anniversaries and Birthdays to simple gestures of love and goodwill, you will discover a wide range of floral gifts to suit any occasion.